Weather forecasters are predicting that further snow will fall across South Yorkshire this afternoon. 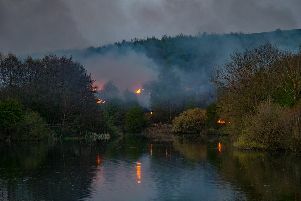 A Met Office spokesman said as much as 5cm could fall across Sheffield - with up to 10cm on higher ground. He said: “The snow showers are going to continue this afternoon, but will start to fading out during the course of the afternoon. “The weather warning remains in place for Sheffield which says that we could easily see up to 5cm and over higher ground there could be as much as 10cm. “Overnight will tend to be dry but there is still the risk of one or two isolated snow showers. “It is going to be a very cold night. Temperatures could reach as low as - 1C in the city and in snow covered areas as low as - 5C. “Tomorrow is going to be a better day. There will be more in the way of sunshine.